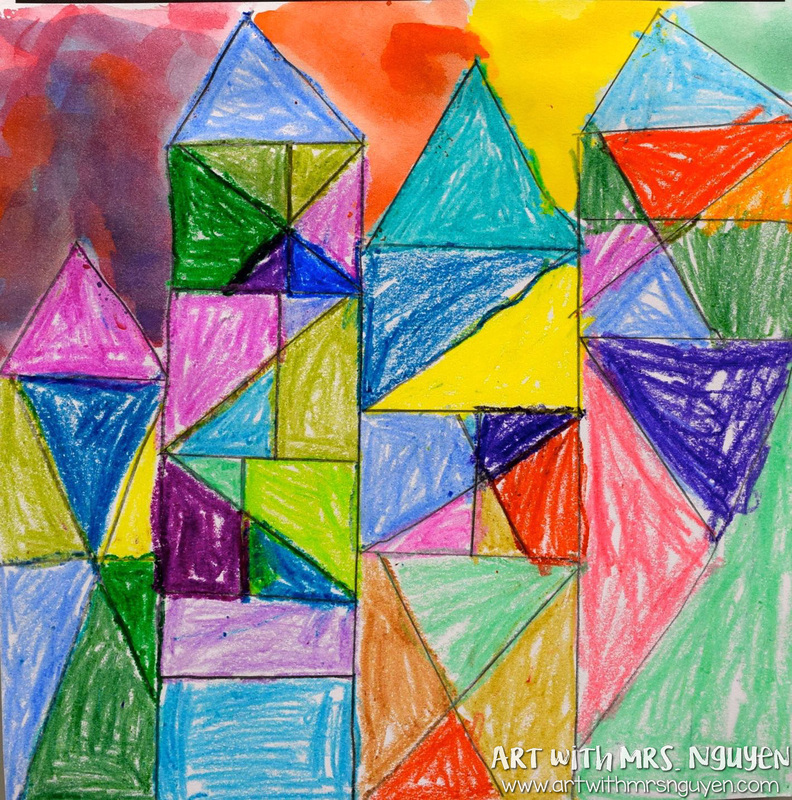 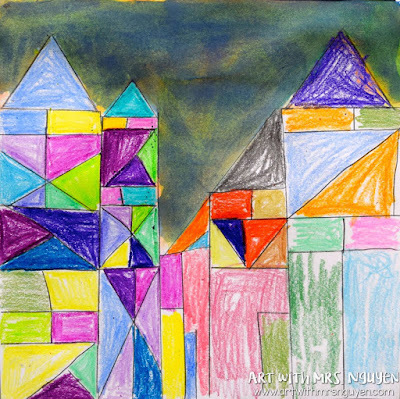 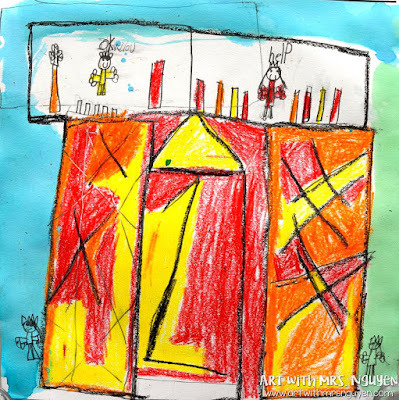 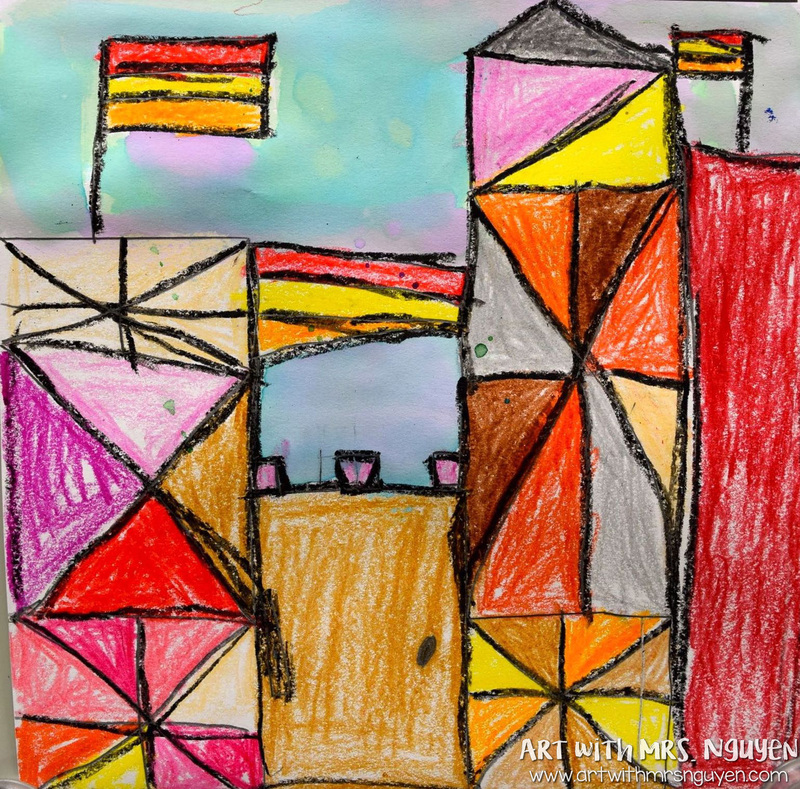 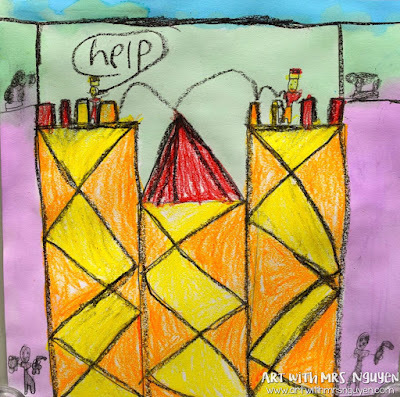 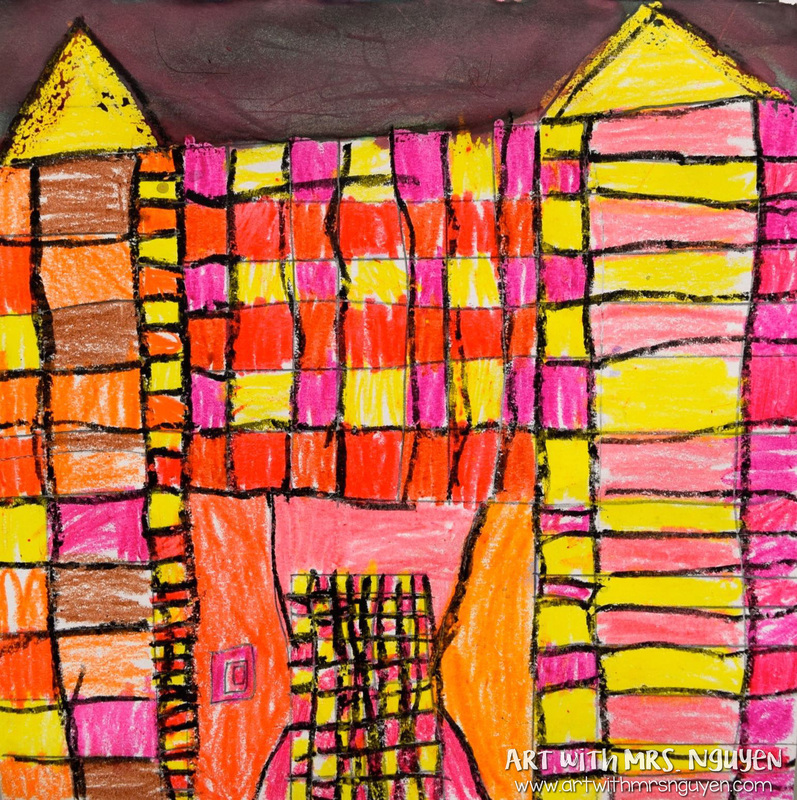 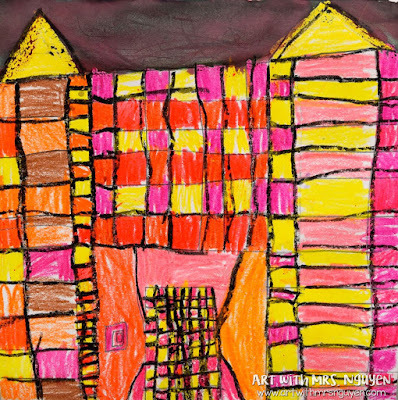 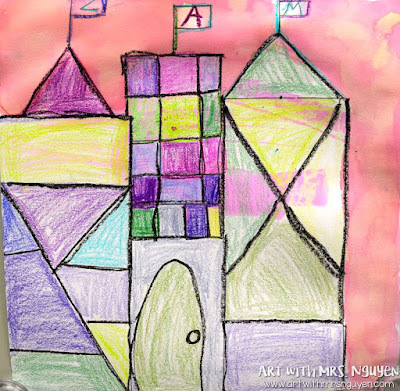 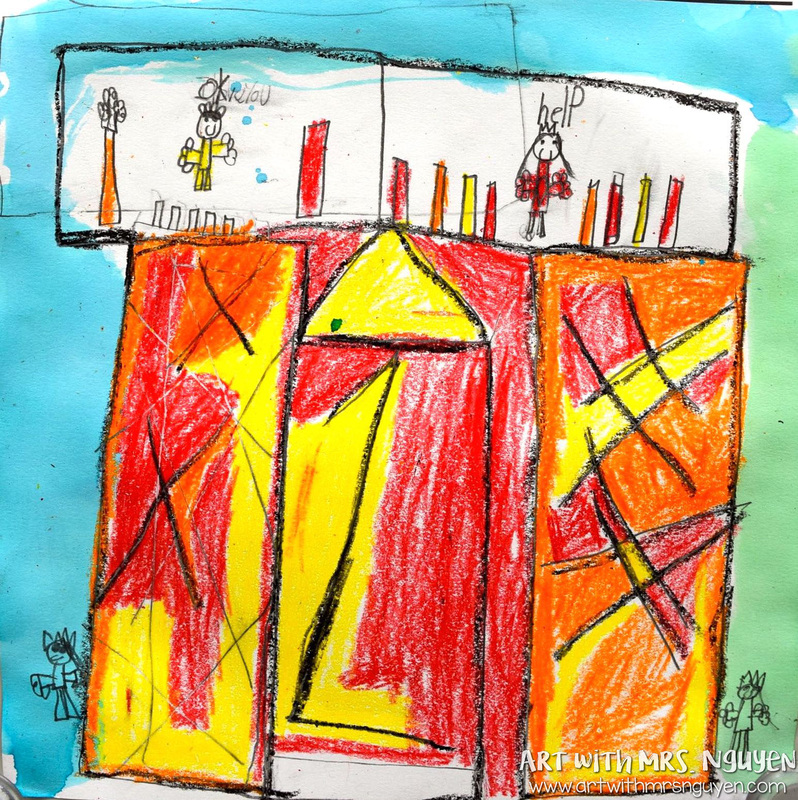 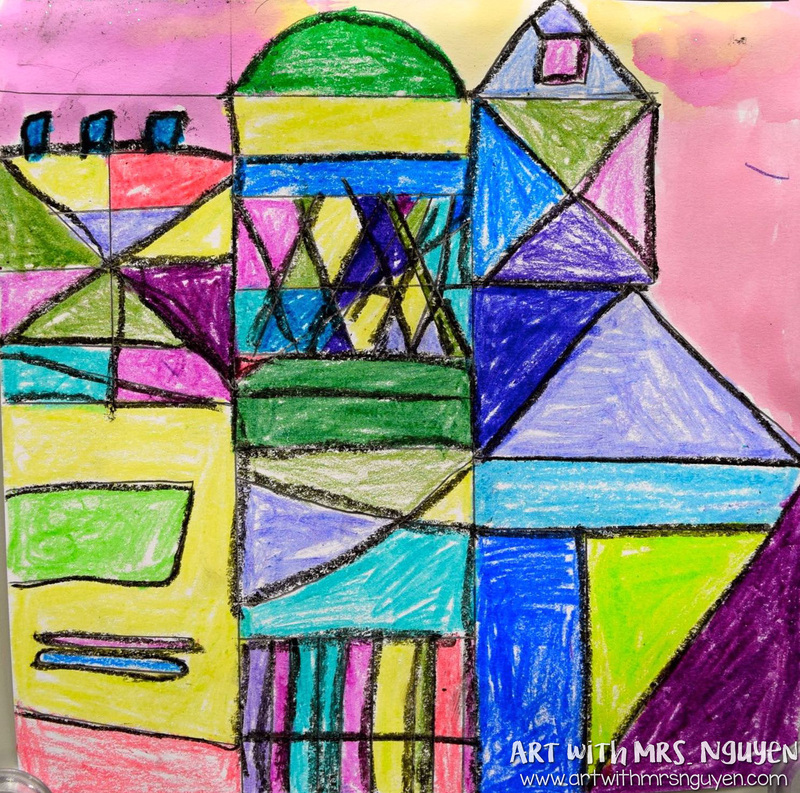 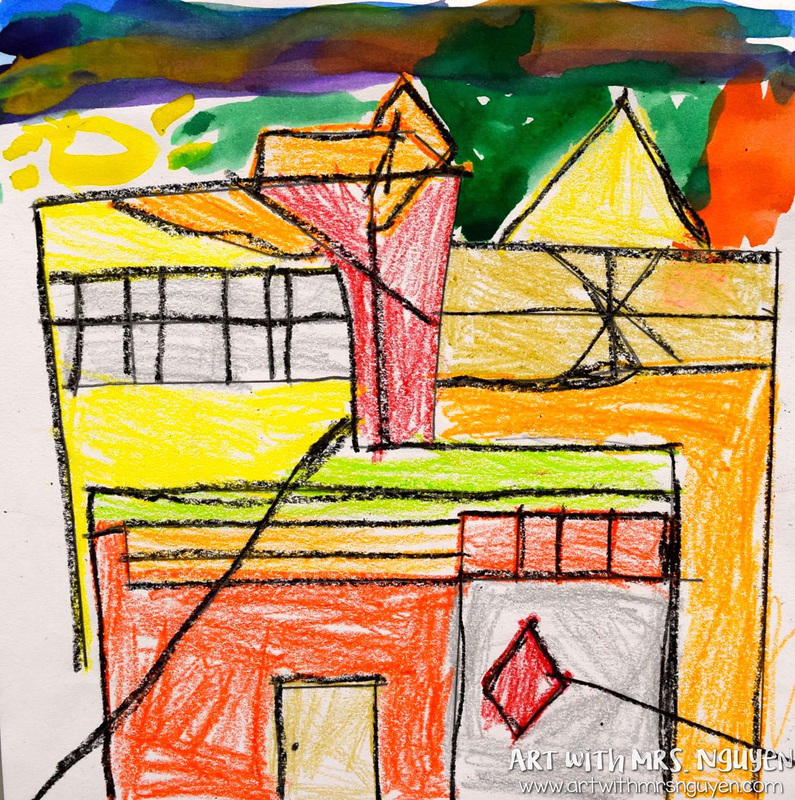 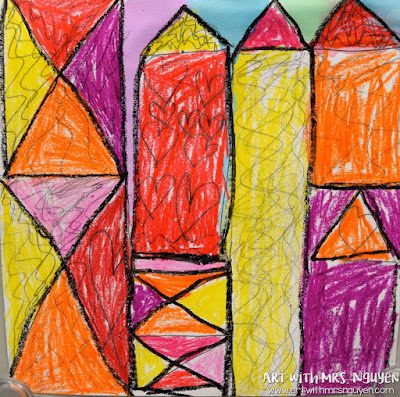 So these past few art rotations my second graders have been working on some Paul Klee inspired castles (lesson from Deep Space Sparkle)! 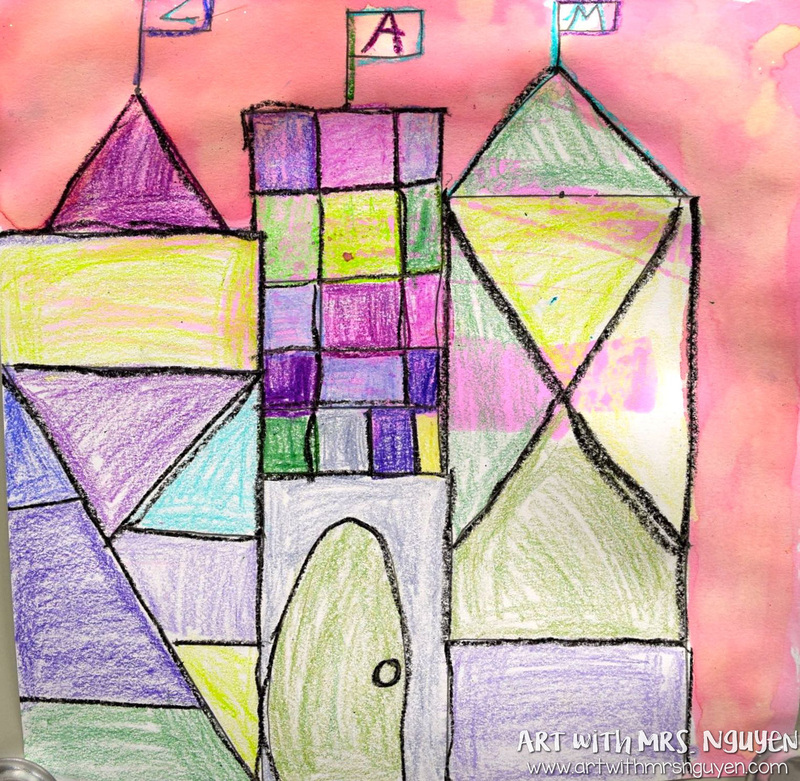 Using a few rectangle stencils and rulers, they transformed their Square 1 Art paper into their own geometric castles! 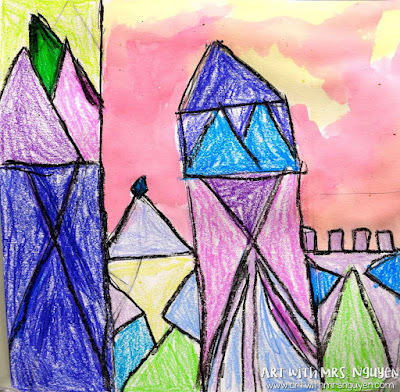 Then using crayons, they colored in their castles using either warm colors or cool colors (that was the instruction at least). Crayons are awesome for this because there are SO MANY different colors! Once their castles were colored in, they painted their sky with watercolor paints in the opposite color scheme. 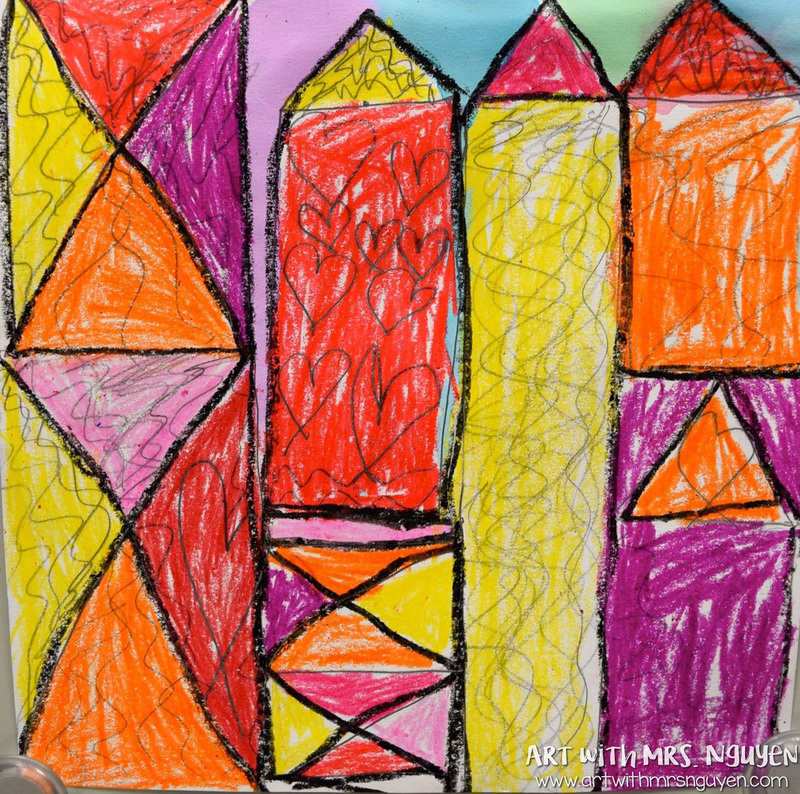 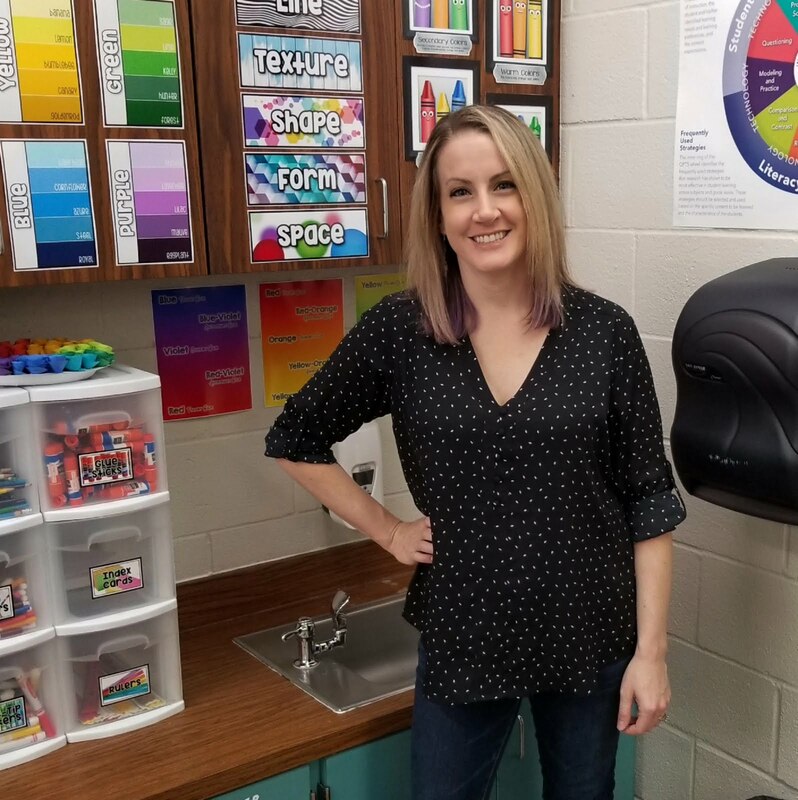 These were completed in 2-3 45 minute classes.